For those familiar with Gurtam Maps app, which allows to search addresses using coordinates and key words, track the asset location on a map and apply different geocoding tools – we have now developed the new routing feature as another quality enhancement in Wialon. This update will save you the time by optimising complex driving routes involving up to 10 different addresses, and provide a capability to indicate a route based on Gurtam Maps. The development of this feature has taken up to a year to accomplish. Essentially, it is based on the static road attribute with 2 key indicators taken into account – distance and legal speed on a roadspan. Up to 10 different locations can be considered when laying the route. 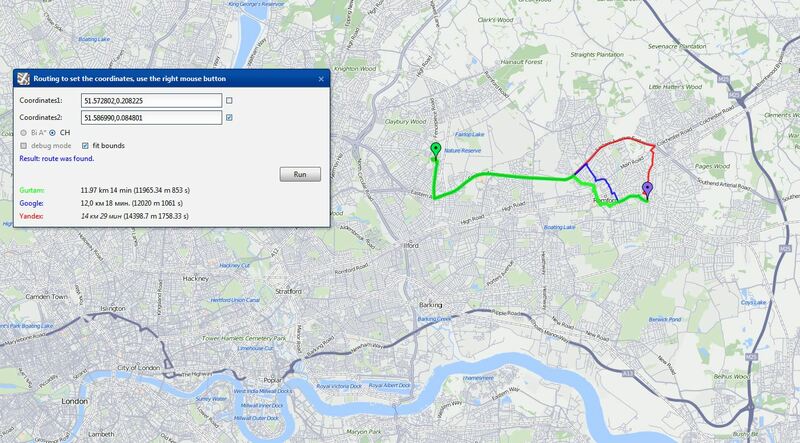 Now that the new route service has been released – Gurtam Maps, along with the Delivery Service will be able to lay routes and optimise a range of processes via the new mechanism. The planner works within the locality, city, region, and state. The service is currently available for all GIS geographies, Europe, Australia and several MEA states. In the near term, the service will embrace other geographies and sufficiently expand its areas of application. Proprietary mechanisms by FMS providers for selecting the best paths in their networks have not yet become a shared approach. Most likely – a GPS tracking software provider would give way to traditional Google, OSM data sources to enable their systems with proper tools. And since Gurtam has another way of doing this – Wialon has developed other tools to work independently from alternatives. Compared to a number of map providers such as Google, Yandex, Wialon’s own route planner was designed to work independently from external databases, allowing the greater level of freedom to its users.